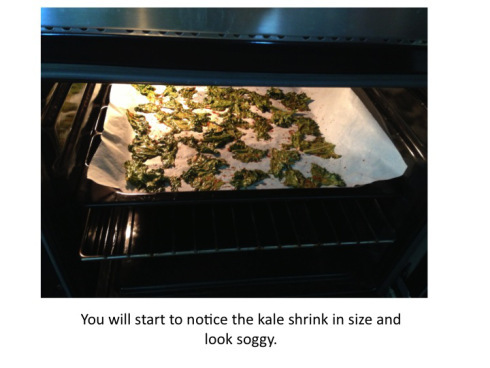 *Wash and dry the kale. Remove the thick stems and cut into palm sizes. 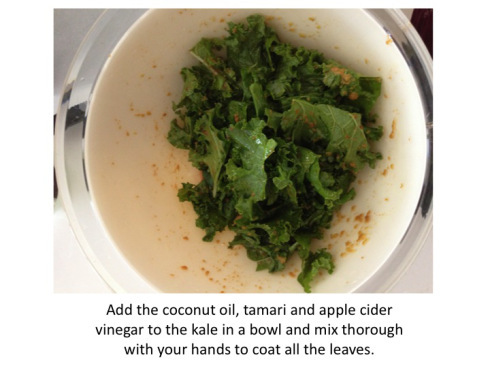 *Add the coconut oil, tamari and apple cider vinegar to the kale in a bowl and mix thorough with your hands to coat all the leaves. 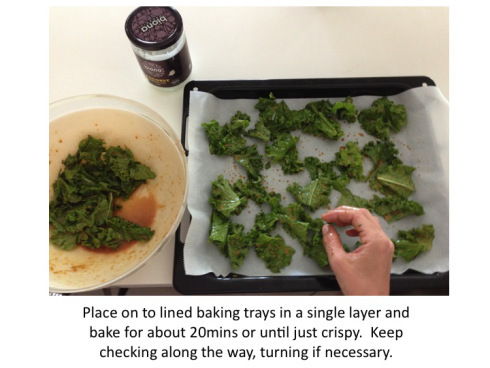 * Place on to lined baking trays in a single layer and bake for about 20mins or until just crispy. Keep checking along the way, turning if necessary. 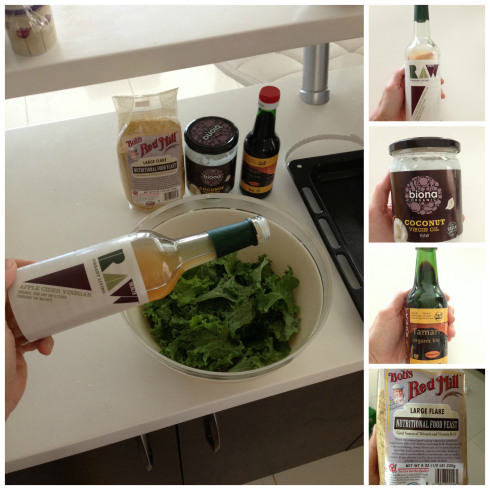 Make 2 separate bowls of Kale with the above ingredients. 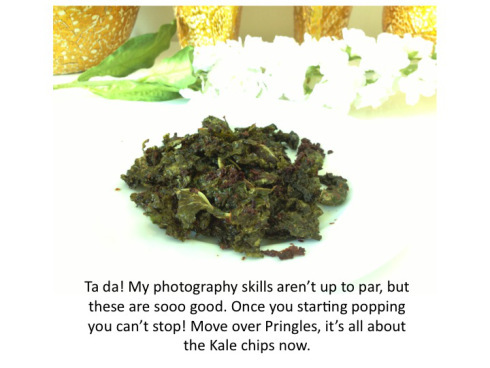 One with the nutritional yeast and one without, this way you can try which you like best. 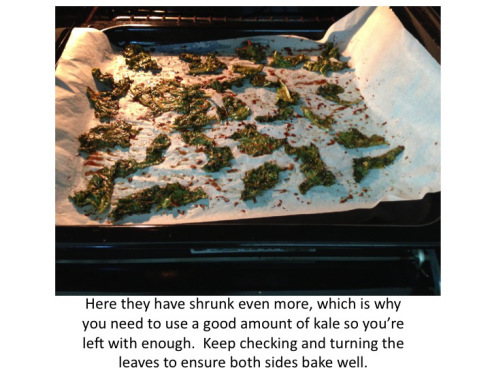 You can even just use one bowl and just split the baking tray in half doing the same.